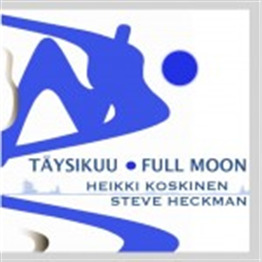 Full Moon is a duo recording featuring Heikki on piano, tenor recorder, as well as some overdubbed MIDI parts, and Steve Heckman on sax, flutes & clarinet. The repertoire is mostly old and new Finnish songs, mixed with a few originals. Although the songs are folk based, the music feature lots of jazz & latin flavored improvisation.